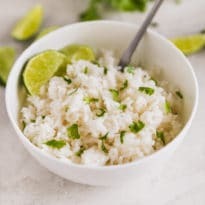 A tasty and refreshing way to start your day off right, this recipe is made with only five ingredients and can be whipped together in just a few minutes. Feel free to replace the mango with any one of your favorite tropical fruits such as pineapple, banana, or papaya. Or go crazy and mix them all into one! Either way, you’ll be daydreaming your way into the tropics! What do you put in a mango smoothie? 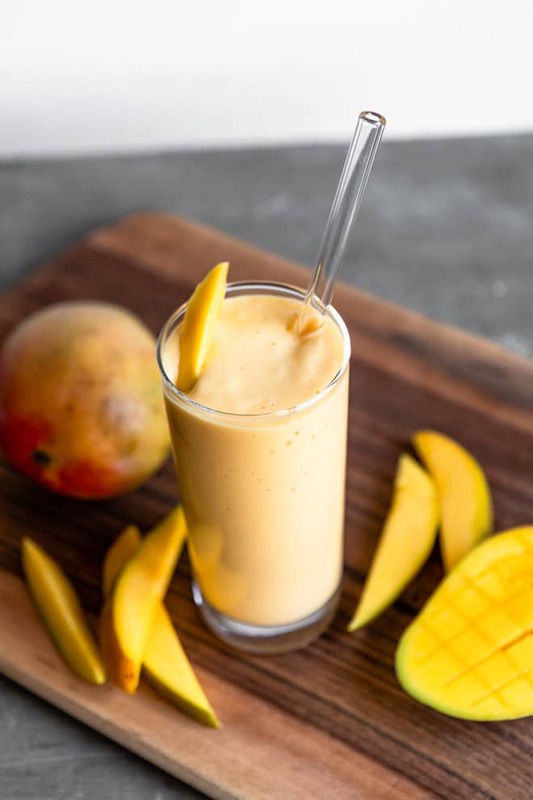 The tropical mango smoothie is made with only five ingredients that you probably already have in your pantry – mango, milk (or dairy free milk), ice cubes, yogurt, and honey or agave syrup. 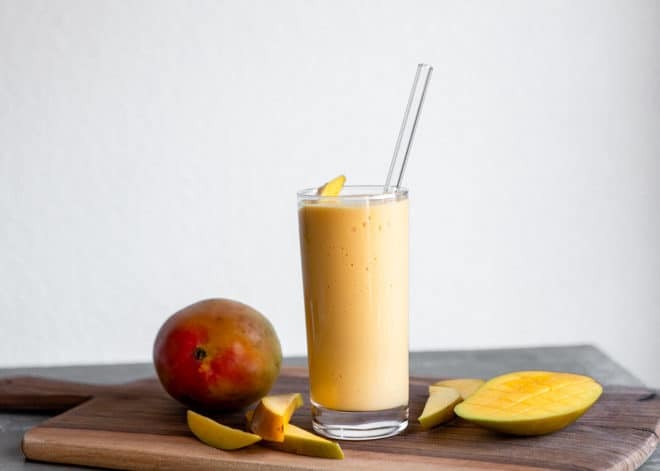 How do you make a healthy mango smoothie? 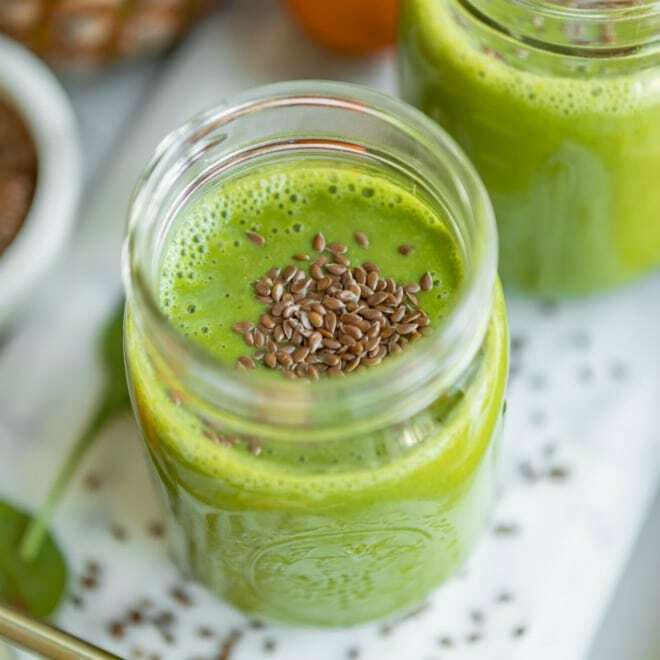 As this recipe is already healthy to begin with, just whipping it up in your blender is enough for a healthy breakfast or afternoon pick-me-up. 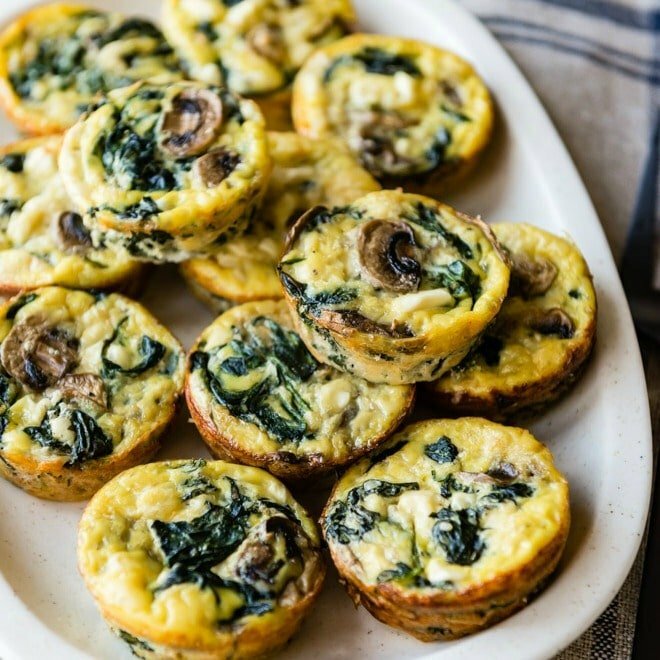 If you’d really like to up the protein content and thicken the texture, replace the regular yogurt with Greek yogurt. 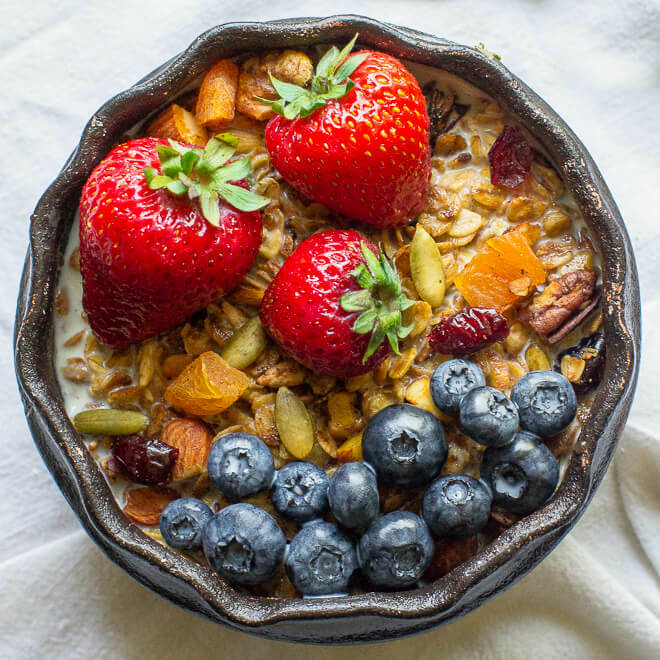 Another trick – adding up to ¼ cup of rolled oats to the mix will add a boost of good-for-you fiber and nutrients, and make a thicker consistency, if that’s what you’re looking for! 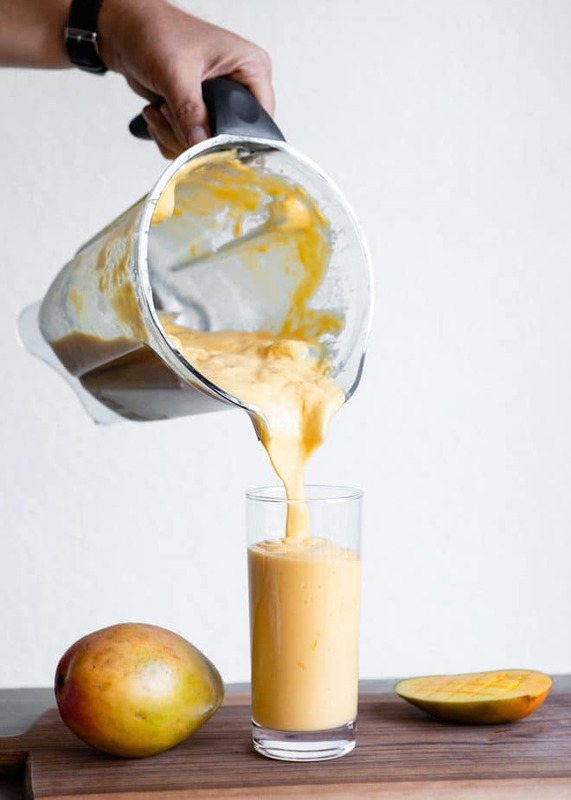 How do you make a mango smoothie without milk? Simply replace the milk with an equal amount of water, coconut water, or dairy-free milk such as almond, coconut, or cashew. Just keep in mind each variation will have a different flavor depending on your liquid of choice. 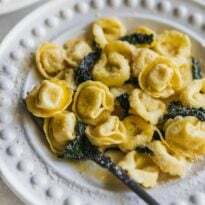 If you want to take out the liquid all together, replace it with one medium banana, which will add a creamy texture (and leads us to our next question)! Mango, with it’s sweet and sour flavor, pairs perfectly with any other fruit in the tropical fruit family such as pineapple, banana, or papaya. 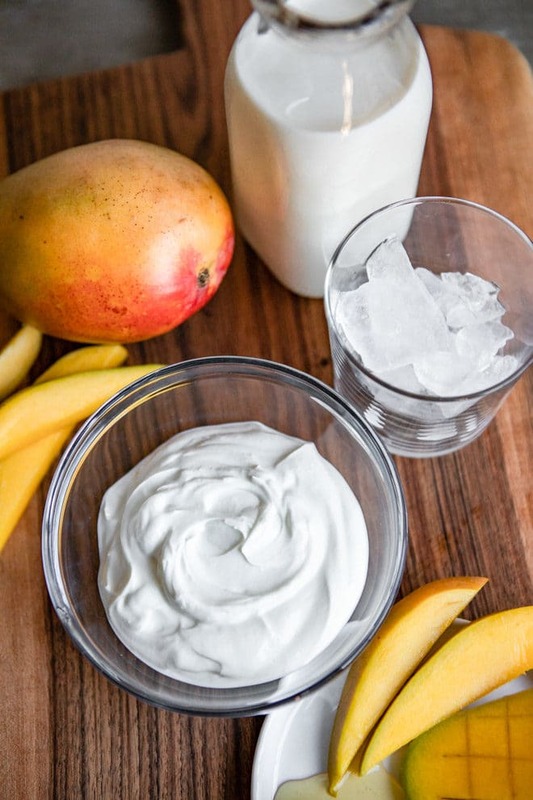 Replace up to half the mango with any one of these fruits, or put together a cup’s worth of any of your favorite fruit combination. 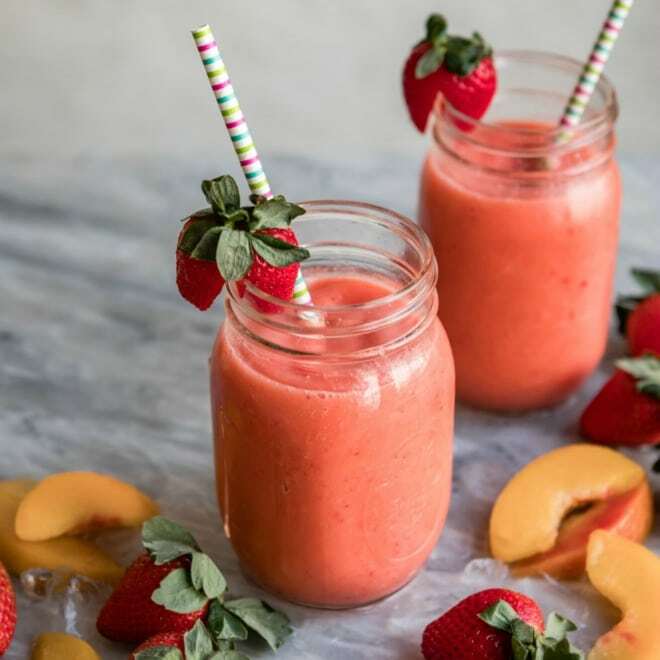 Save this Tropical Mango Smoothie to your “Drinks” Pinterest board! 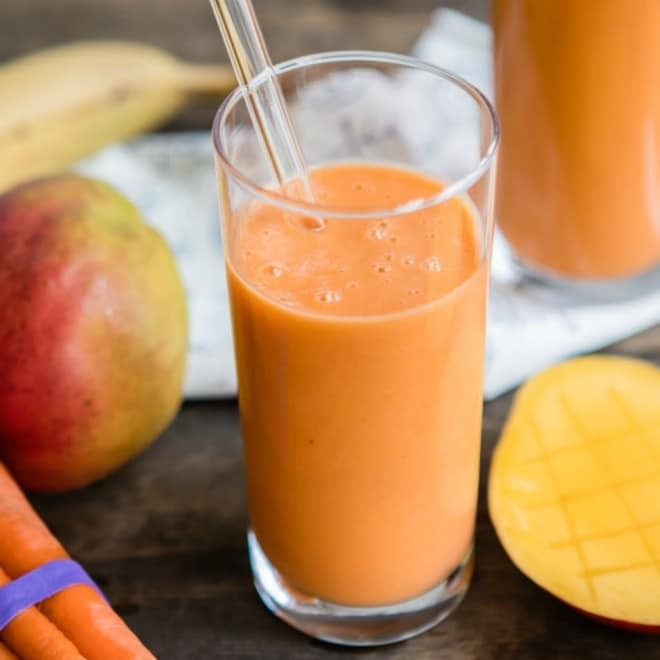 A tasty and refreshing way to start your day off right, this Tropical Mango Smoothie is made with only five ingredients and is ready in just a few minutes. Feel free to replace the mango with any one of your favorite tropical fruits such as pineapple, banana, or papaya. Or go crazy and mix them all into one! In a blender, combine mango, milk, ice cubes, yogurt, and honey if using. Blend until smooth. Love Chobani and the coconut added make this a fabulous summer drink! We always have Greek yoghurt in our fridge, too … I use it like mayonnaise, eat it for breakfast or dessert, make dips with it, put it in cakes etc. etc. etc. It’s the food of the gods!!! 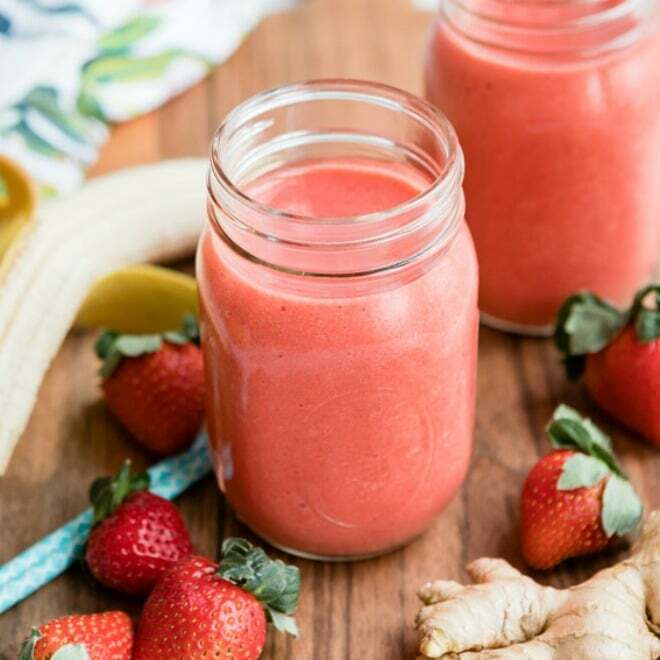 And what a beautiful smoothie … I just love that it only has those 4 delicious and fresh ingredients! I ve just discovered your blog, very very good job. 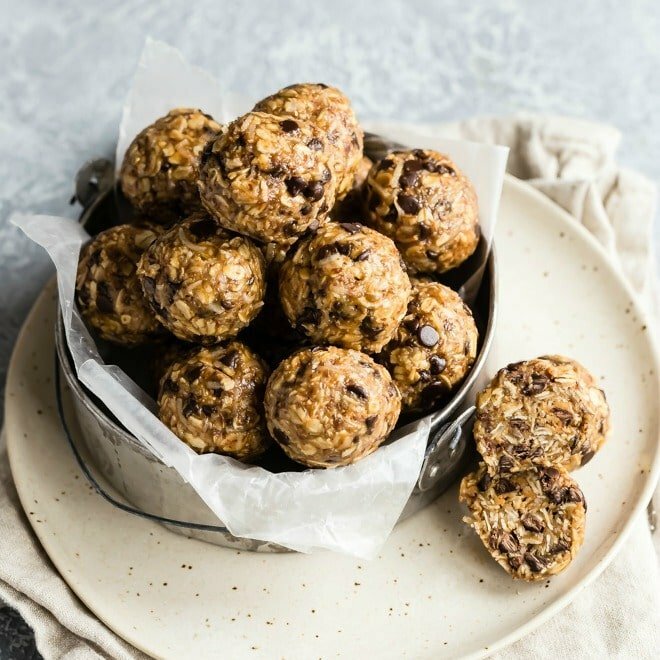 Would this recipe work if the coconut water was substituted with almond milk or coconut milk? Not a fan of coconut water but really want to try this recipe. Hi Athena, yes absolutely! I was trying to be all trendy with my coconut water. You can absolutely sub any beverage of your choice (even regular water). Thanks for the question! Yummy! I love your smoothie idea. 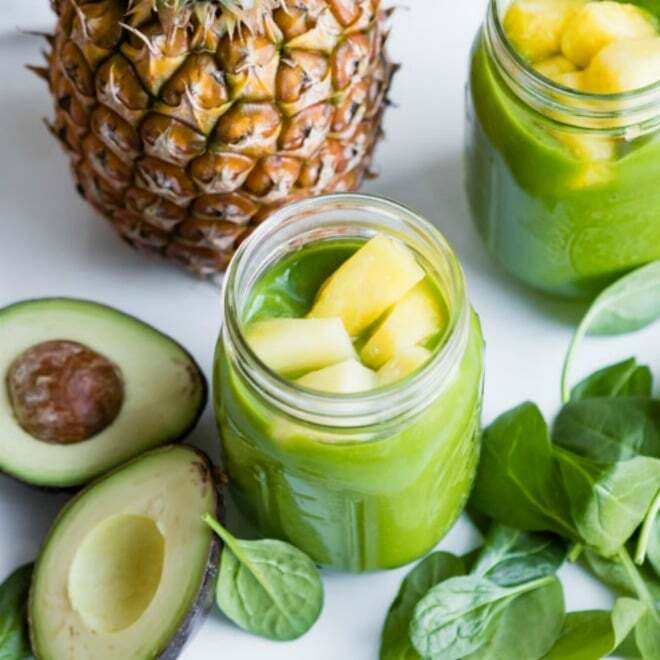 Thanks for adding some pineapple, its my all time favorite fruit for smoothie. I will gonna try this smoothie. I home it will help to boost my immune system . Did you know that mangoes come in all shapes and sizes? I like the bigger ones, because there’s more fruit than those smaller, Champagne mangoes. 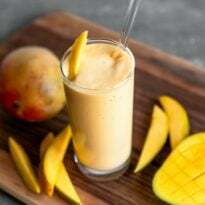 This smoothie is one of my favorite breakfasts during mango season. Blending the mango makes it very thick, naturally.